Our most exciting annual event #TASCON16 is coming up and here’s a great opportunity to interact with fellow Talents Acquisitionist’s with the best minds in the Recruitment Industry. 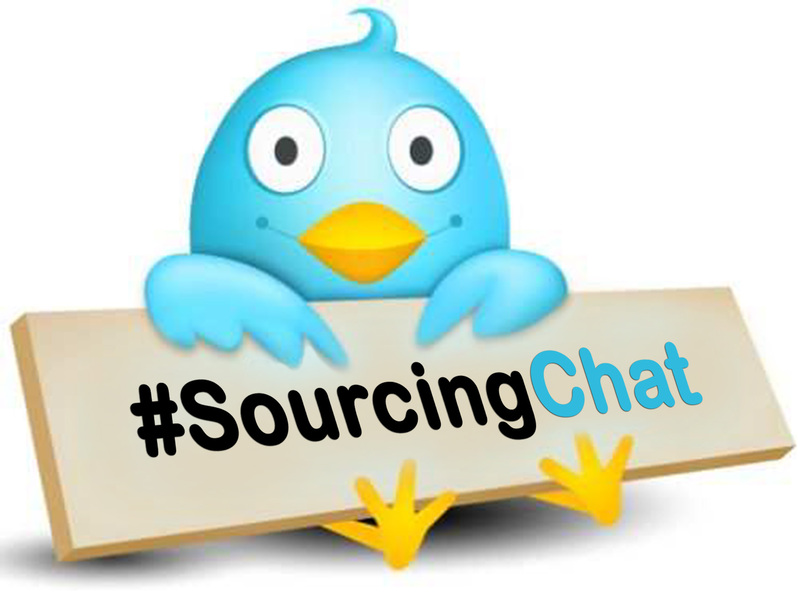 While this is great what is even better is a chance to get in touch with them via #SourcingChat prior to the event. Q1. How should we define Talent Analytics and Big Data in #Recruitment? Why it’s being talked about? Well these are the results hope they turned out as you might have wanted them too. If not we still have our other #SourcingChats to look forward to and most importantly our long awaited #TASCON16 is coming up so be sure to attend as you’ll get insights that are sure to add to your knowledge. If you’d like to be part of our upcoming event/s then follow us @SourcingAdda to get real time updates to our various activities and events. You can also get in touch with us if you’d like to be added to our various WhatsApp Group Chats Wednesday Discussions and lots more. We are predominately in the Information Technology Age as such the developments in technology now dominate sourcing to a large extent. First we had Desktop computers, than came Laptops, than tablets and now we have smart phones making their way into every home. 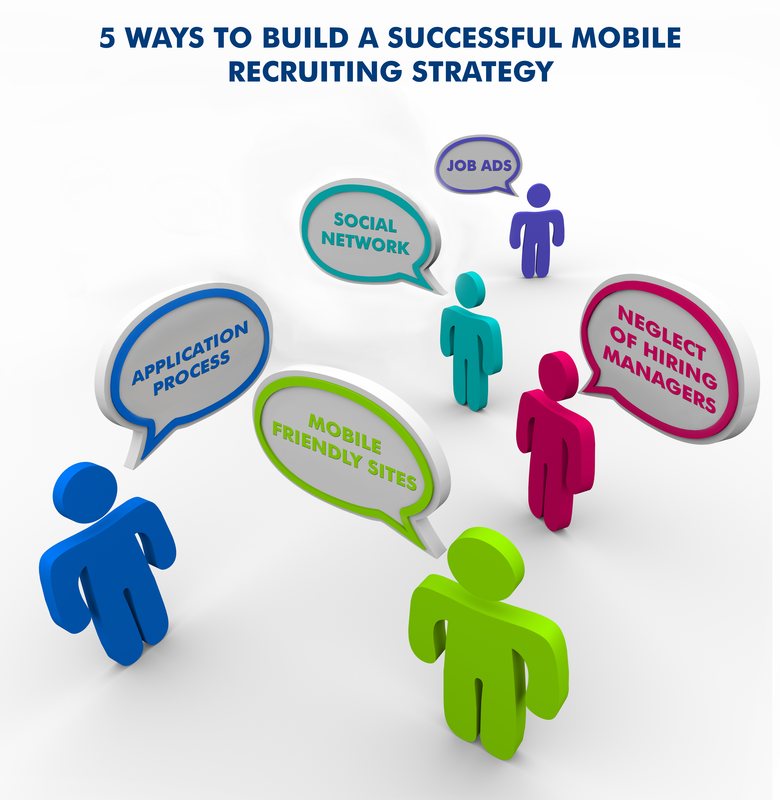 It is only fair to say that Mobile Recruiting is the next development in sourcing. With almost everybody having a smart phone it is obvious that job seekers will want to view and apply for jobs via mobile. Here’s why? Companies need to cater to the new developments if they are looking to hire talented individuals. Job seekers mainly look for information about the company on the company’s website hence the site is to be designed so that it can be accessed on a mobile easily with the least amount of disruptions. When creating job ads for mobile viewing there are certain things one needs to keep in mind. Firstly ensure that it is easy for the applicant to read and navigate between job ads given the size of the screen. Here you also need to pay close attention to the content in the job spec as it can be viewed by anybody who log’s on to the Internet. This affects the company’s reputation so ensure that the content is relevant and to the point. Individuals live in a fast paced world hence tasks are also completed quickly. As a result many mobile users wish to finish the entire application process via mobile hence catering to their needs becomes important if one is on the lookout for individuals of caliber. Many companies with the view to source candidates generally create an ATS to speed up the process to gain suitable recruits. For sourcing to be successful it is essential to have an ATS that works but one that also works with mobiles. If not, you run the risk that the system will not be as productive as expected. So it is essential that the system designed be accessible by smart phones and tablets alike. Most Android and iPhone users regularly access social network sites like Facebook, Twitter and LinkedIn so ensure that the job ads posted are crisp and clear to avoid receiving irrelevant candidates. 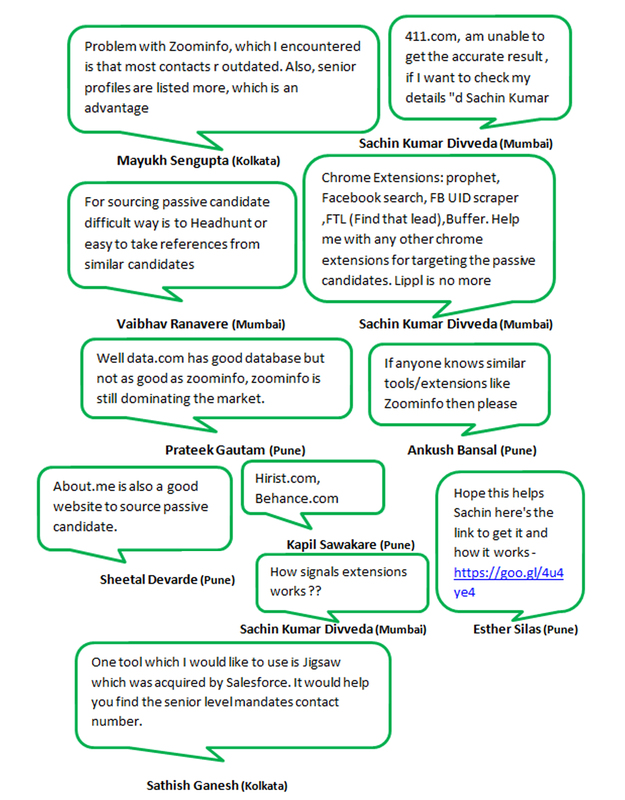 These are great platforms to source for candidates due to the huge data base of members and their connections. These sites enable you to access member profiles including second and third party contacts. With such a vast pool of individuals to choose from, it’s the perfect place to capture suitable candidates that can be short listed and select the ones that fulfill all the requirements. As Talent Acquisitionist’s we are constantly Sourcing for the needle in the haystack and being into the Recruitment Industry we are well aware of the changing trends. This is all well for experts like us but what about our fellow Sourcers who are new in to the profession? We may have the experience and most certainly know the trends but is there a slight possibility that there are techniques that we haven’t yet heard about? I think yes, with the Recruitment Industry changing rapidly we are bound to miss out on something or the other. This brings our informative discussion to an end and I’m sure that you didn’t know some of the things that were mentioned. More importantly from the feedback we’ve received it is clear that these discussions are becoming quite popular and helpful just the same. So if you’re not a part of these discussions you don’t know what you’re missing out on. To know what the best minds in the Talent Acquisition Industry had to say during #TASCON16 follow us @SourcingAdda for more updates to our upcoming events and of course #TASCON16. You can get in touch with us if you’d like to add yourself and colleagues to our What App groups to gain access to the popular Discussion Wednesday’s. 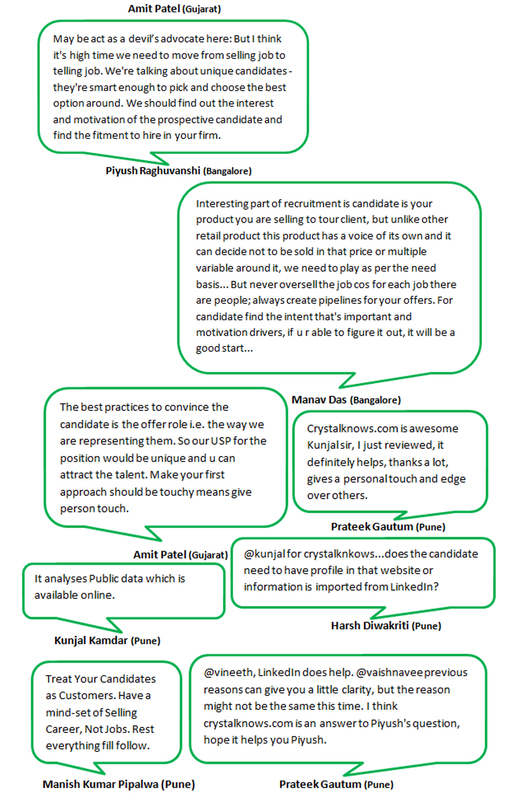 Whats App Group Chat – How should Recruiter’s approach different types of Candidates? As fellow Talent Acquisitionist’s we’re ever ready to interact with Candidates we receive. At times while interacting with Candidates it becomes difficult to get the desired information we would like to know about them. This in turn hinders our task and we’re looking for new ways of interacting with them to extract the necessary information. On the basis of the conversation above we can conclude that we as Talent Acquisitionists need to modify the techniques and methods that we implement when interacting with Candidates between interviews. As times change we too need to change the way we do things and streamline our strategies and approaches to Candidate interactions to yield maximum results. Thus, @SourcingAdda our motive is to assist Talent Acquisition Professionals in their endeavour of catching the needle in the haystack in order to boost ROI and improve KRAs altogether. We all realise that we need to be up-breast with the latest trends in the Recruitment Industry in order to improve our KPAs. Therefore, if you’re not part of these Whats App Group Wednesday Discussions you have no idea what you’re missing out on. If you’d like to be a part of these discussions do get in touch with us to get added to these groups. And if you’d like to be updated about our various activities then follow @SourcingAdda to receive real time updates. There has been a lot of talk of the Technology Age and how the Recruitment Industry is changing because of the advancement in technology. Given the current scenario it’s obvious that you’ll like to know what challenges Talent Acquisitionists like yourself would face. Based on the conversation above and the reviews we’ve received we can conclude that it was one heck of a discussion. And I’m sure if you’re following us @SourcingAdda and are a part of these informative discussions then you surely have added to your knowledge. If in case you’re not part of these discussions then it’s probably time to become a part of them as you don’t know what you’re missing. In the meantime know that if you’re reading this then you too have added to your knowledge as well. Be sure to get in touch with us if you’d like to be added to any of these WhatsApp Groups.